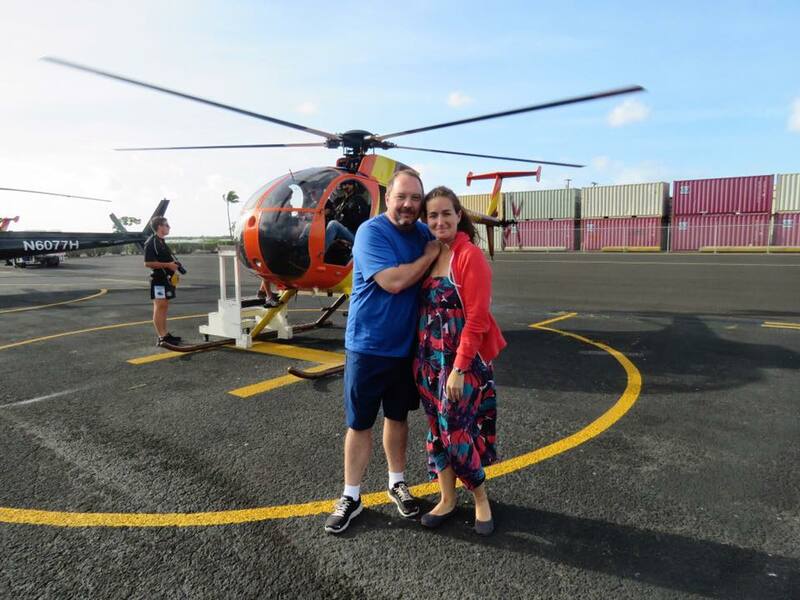 The greatest adventure during my recent trip to Hawaii was with Makani Kai Helicopters. I love being in the air. In my previous life, I must have been a bird. There is nothing that brings me more joy than soaring through the air with the wind on my face. It’s what draws me to skydiving. I still get that nervous feeling before leaving the plane but once I’m out the door and there is nothing obstructing my view, it’s euphoric. I had that same feeling on a recent helicopter flight over Oahu with Makani Kai Helicopters. The Doors Off Adventure with Makani Kai Helicopters is more of a celebration than a tour, a sensory rush with the wind in your hair. We flew in the same helicopter used in the Magnum P.I. television series. 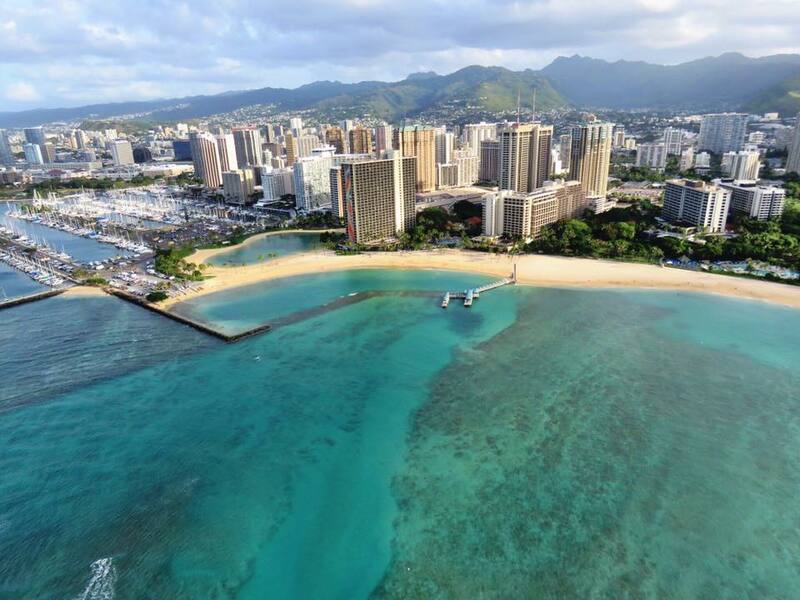 The route covered most of Oahu and every seat had an excellent view, unobstructed by doors. 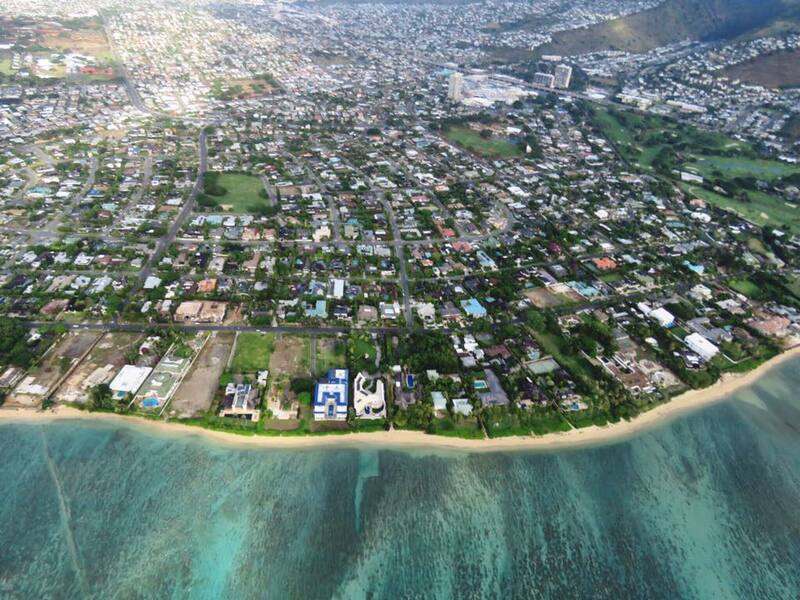 There was nothing between me and the sky, creating a bucket list view of Oahu. 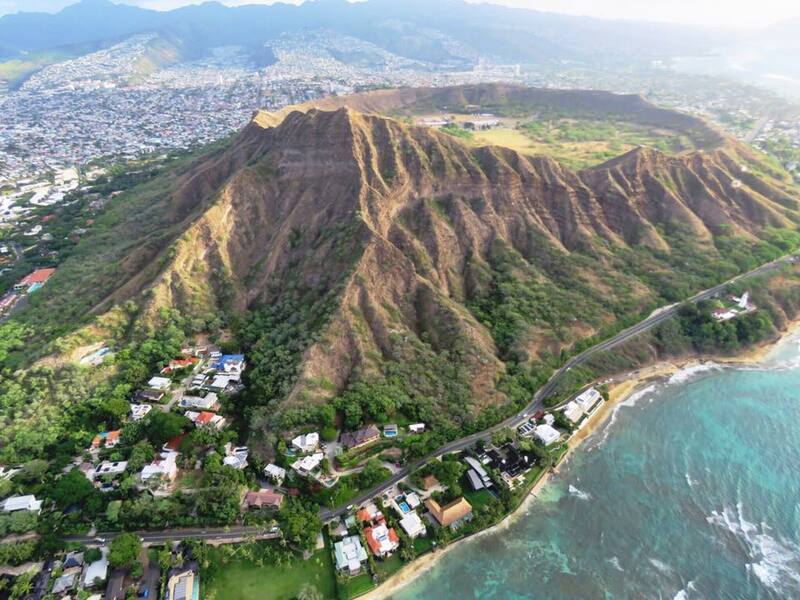 Beyond, I could see Diamond Head crater and the “Gold Coast” where multi-millionaires make their homes. The views of spectacular Hanauma Bay were a reminder that I definitely needed to return for a day of snorkeling and sightseeing from below. Rounding the east end of the island, we experienced the rugged coastline and dramatic cliffs before witnessing the powdery white sands of Waimanalo Beach, the gorgeous coral formations of Kaneohe Bay, the distinctive Chinaman’s Hat, and then up into “Jurassic Park” valley, where scenes from a dozen major motion pictures have been filmed. Although it was windy, it was the view that was taking my breath away. I had never seen it so clearly before and at such a wide angle. I was a bird and this was my island for the day. The highlight of the tour was Sacred Falls, a sheer and splendid 1,000-foot cascade. 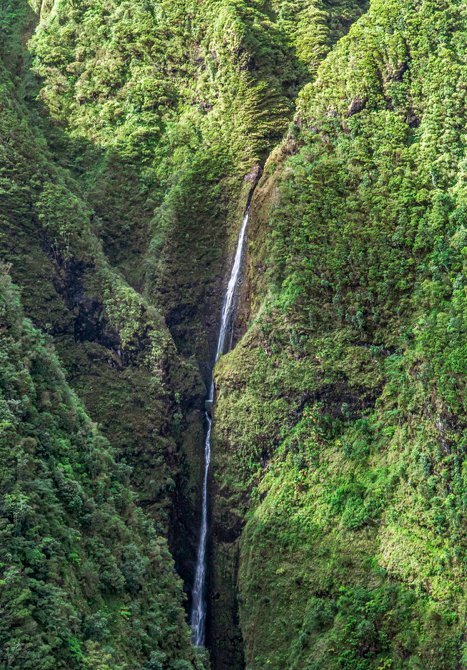 I was able to experience many areas of the island just by driving around but the views of Sacred Falls were specially reserved for the helicopter flight. “For once you have tasted flight you will walk the earth with your eyes turned skywards, for there you have been and there you will long to return” (Leonardo da Vinci). 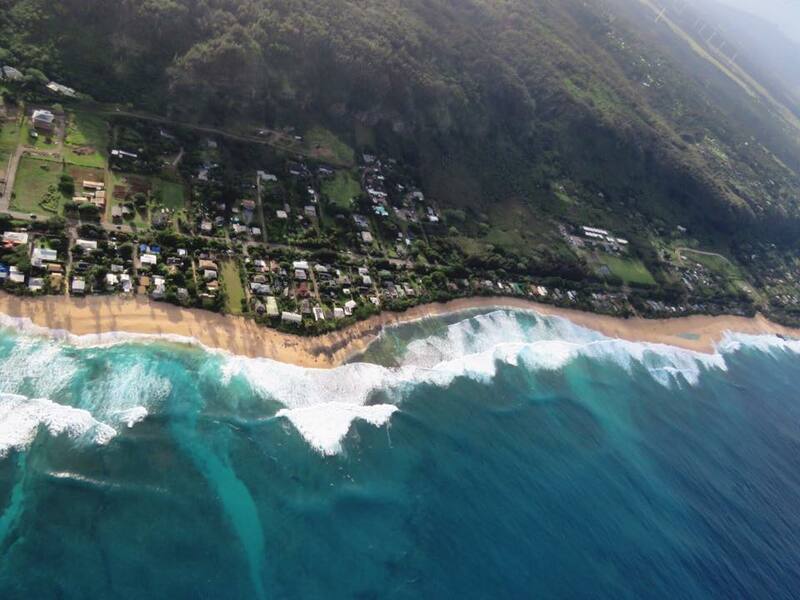 The tour continued along the famous North Shore, with a dramatic view of world-renowned surfing spots like Sunset Beach, Pipeline, and Waimea Bay. I love staying in Honolulu, but it’s the wild North Shore that gets my imagination flowing. I envisioned surfing the monstrous waves or diving to the deepest depths in search of new worlds. On our way over Oahu’s Central Plain, we saw the Dole Pineapple maze and found out that it is the largest maze in the world. Our adventure concluded with a dramatic view of Pearl Harbor, the Arizona Memorial, and the Battleship Missouri. When we exited the helicopter, my tossed hair was wild and my eyes were slowly adjusting to the dramatic change in wind but the smile never left my face all day. The Doors Off Adventure with Makani Kai Helicopters helped me to continue pushing the limits of unobstructed flight. Hawaii is such a beautiful and tranquil place to really appreciate the land and the ocean. These photos make me want to book a trip back today! Oh my you are so brave! I would never be able to go up in a helicopter! Lucky for me you did so I can see all your beautiful pictures! Is it the heights or something else that worries you? Oh wow! I would have been terrified! I have only been in a helicopter once and it terrified me. Stunning photos though! Do you mind flying in airplanes or just helicopters? Oh my, I give you credit for partaking in this event, I would love to.. but I’m just too afraid of heights! However your photos are wonderful…. Once in a lifetime views i’m sure! Luckily, heights are not one of my fears. There is nothing that makes me happier than being in the sky, especially with such an unobstructed view. Wow, what an amazing view. We have taken a helicopter tour over the mountains in Tennessee, but I have never seen the water like this. Beautiful! Tennessee is a beautiful state and I love any helicopter flight, but it really was magical to see the blue waters and lushes greens. Have you ever been to Hawaii? These photos are absolutely fantastic. This is a trip of a lifetime that I could only dream of. Breathtaking beautiful….I know yall had a blast! We really did have a blast. We went scuba diving, snorkeling, catamaran sailing, flying in the helicopter, and swimming with sharks all in one trip. It was a dream. Wow, what an awesome experience! You took some amazing shots. Such a beautiful place. Thank you! It was almost impossible to take a bad shot with the views and visibility but I am proud of how they turned out. Have you ever been to Hawaii? Those photos are seriously breathtaking! I might be too big of a baby for a helicopter ride but I would love to try it someday! Is it the height that worries you? Do you mind flying in airplanes? I think a helicopter ride over the islands is a must. The beauty you cannot see on land! Your photos are fantastic. This looks like something out of my dream. The dramatic cliffs, the sweeping plains, the luxurious views… what an absolutely mindblowing trip am I right? When we were in Honolulu we didn’t get to see too much since we went with my husband when he was there for military. This would have been a quick way to see more! Those views are spectacular. As much as I’d love to see them, I don’t know if I would be brave enough to skydive or go up in a helicopter. Ok I’m so jealous! Taking a helicopter tour is definitely on my bucket list of things to do with my hubby! Oh my, I’d love to visit, and I think I’ll finally take the plunge next year. For someone who’s scared of heights, I doubt I’d be able to travel in one of these. However, it is a great view. I’ll just enjoy the photos for now Haha. Omg breathtaking photos!!!! I have been on several helicopters before and always had the best time!! 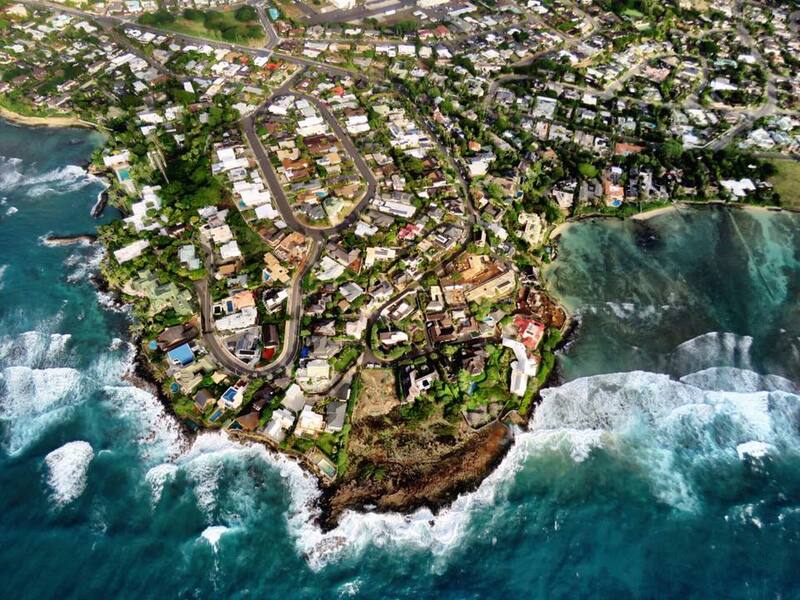 What beautiful photos you captured from the heli! I have been on one to see Dallas at Christmastime but your views were amazing.